Tsering is on his way to his grandma's where he knows he will get the best thukpa in town for dinner. On his way, he runs into a whole lot of people from his community, all of whom he invites to come and have his grandma's thukpa noodle soup. As the friends and neighbors arrive one by one and tsering sets out to help him grandma cook the thukpa, what should happen but the inevitable power cut! From Kashmir to Andhra Pradesh, we journey across India visiting Saffron-growers, Kumar Potters, Sal leaf Plate-makers, Khadhi weavers - eight unique communities - to celebrate their skills and knowledge in using ecologically sustainable practices for centuries.Why? 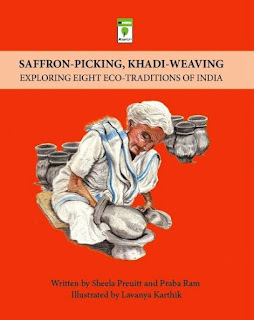 So that we can preserve what matters even as we explore innovative methods for coexisting with nature. Do you think tongues are just soft and pink? Animals have tongues of various shapes, sizes and colours. They use their tongues in many different ways, but not for talking like humans do. 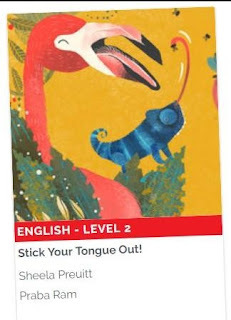 As part of STEM initiative by Pratham books, this books serves to introduce kids to their natural world and kindle their curiosity about the critters they share this earth with. 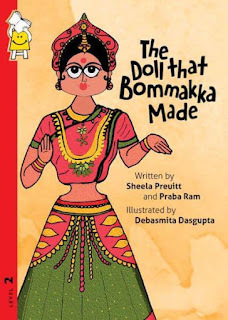 The charming cumulative tale, The Doll that Bommakka Made, celebrates the tradition of hand-crafted dolls of south India, spotlighting the famous Thanjavur Thalai Aatti Bommai, an elegant dancing doll. 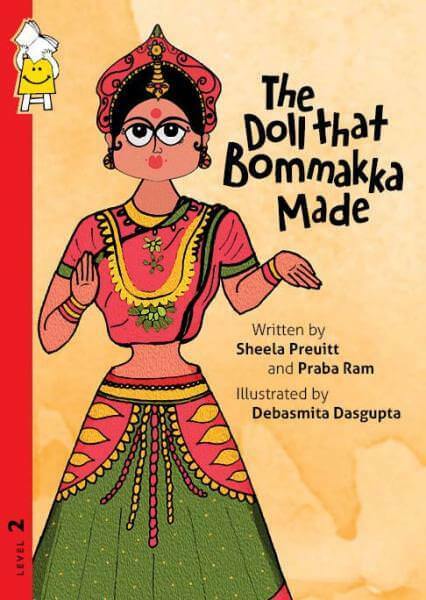 From a little ball of clay, children can watch the doll come into existence to delight generations of folks who have treasured the homegrown hand-crafted treasure. 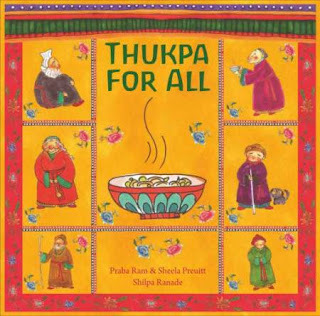 Rhythmic text stacked in a catchy repetitive format invite the children to sing along. As a counting concept book, Every Tree Counts, introduces children to ten emblematic trees found in India, spotlighting the beneficial aspects of these unique trees. 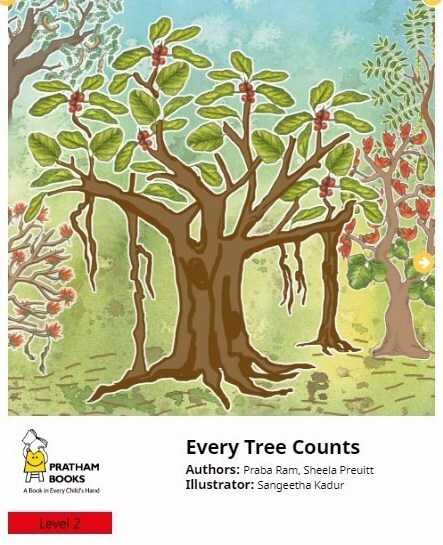 From the majestic Banyan and colourful Coral, to the fragrant Deodar and common Pipal, the book hints at the myriad uses of each, inspiring the future horticulturalists and environmentalists, while also reminding them of the life-giving aspect of trees: Oxygen! Part of a series of STEM books by Pratham, created with an Oracle grant, this book is available in 6 languages with a few more slated to be added soon. With spare words, this simple concept book invites kids to join the playful and clever cat to learn about the basic geometric shapes. The antics of the mouse brings a delightful addition, and the book ends by asking the kids to look around and identify all the different geometric shapes they can find. 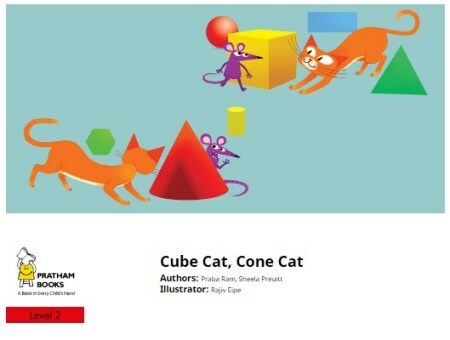 Kube Katt, Kjegle Katt: Cube Cat Cone Cat in Norwegian!